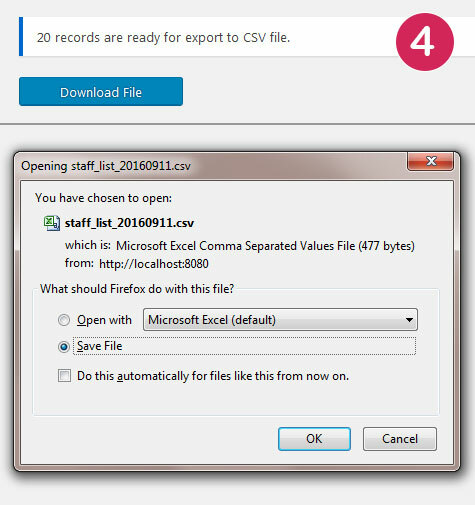 WordPress Plugin Staff List CSV – Export. 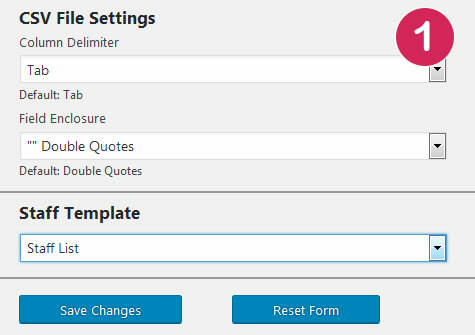 Select Column Delimiter and Field Enclosure. Post ID and Title are required. 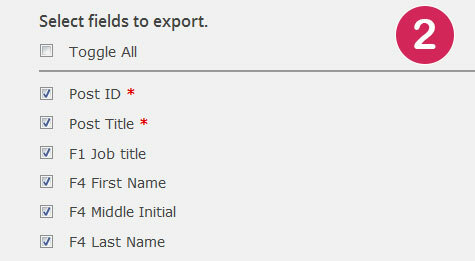 Other fields are optional. Records are loaded into temporary table. 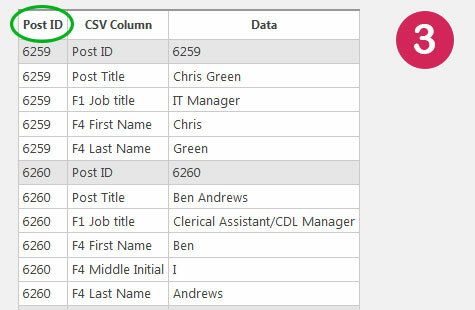 Records with the same Post ID will create a single row of CSV file.